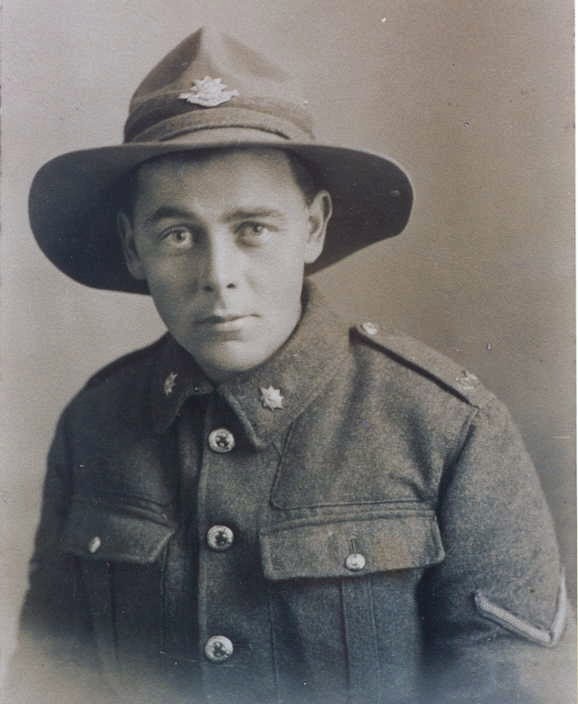 There's a famous quote by Ormond E Burton which gets mentioned many times by Anzac commentaries: ‘somewhere between the landing at Anzac and the end of the battle of the Somme New Zealand very definitely became a nation.’ . Just what this means exactly, and just how much of our so called 'national identity' derives from our inheritance of WW1 battle experience is a subject I will leave to the various newspaper and magazine editors. I'm much more interested in the man Ormond E Burton, and how this conservative trope squares – or fails to square – with his subsequent statements about nationhood and his militant pacifism. After reading a fairly large fraction of his prolific writings, I have to admit that Burton still confuses and confounds me. His uncompromising and sometimes rigid principles lead him to adopt stances which from a 21st century point of view are difficult to reconcile. On many issues he takes a very conservative stand: prohibition, bibles in schools and a refusal to have anything to do with divorce proceedings. Yet the same devout Christian beliefs which inform these positions lead him to radical Christian socialism and militant pacifism. Although I'm not a Christian and find many of his more conservative beliefs very hard to have any respect for, there is still something quite fascinating about Burton's politics. He's part of a broad and heterogeneous movement which responded critically to the aftermath of world war one. This took many forms, including anti-war novels like Remarque's All Quiet on the Western Front and various kinds of poltical movements which rejected the militaristic nationalism associated with the war years. Burton was a significant part of the New Zealand version of this international reaction, his 1935 book The Silent Division is a powerful pacifist statement. Another significant part of the New Zealand reaction was the formation of the Labour party in 1916, which Burton joined soon after the war finished and was forced to leave in 1925. Burton was a devout and apparently quite dogmatic Christian, but his uncompromising views did not prevent him becoming close friends with socialists of a much more 'rationalist' bent such as John A Lee. He was a diligent and committed party member who worked his way up the ladder into a fairly senior position, by 1925 he had been elected as the Senior Vice President of the Executive of the Auckland Labour Representative Committee. He rubbed shoulders with union leaders and Members of Parliament. Burton's Christian views were shared by many of the members of the early Labour party, and his Methodism was unexceptional. The background to Burton's departure is the rise of a much more radical political force to the left of Labour: the Communist Party. Formed in 1921, militant socialists inspired by the Russian revolution in 1917 were a powerful minority left current in the 1920s. Although revolution was the goal, the Communist Party was keen to work with Labour to promote leftist policies. The more moderate factions within Labour were very unhappy about this, and did not want their party to be tainted by association with the revolutionary minority. Aiming for electoral success, the leadership of the party agreed with this moderate faction – Communists would scare too many potential voters away. The “and no other” part of the clause was contested by Communist Party delegate S. Fournier, who moved that these words be deleted. The motion has heavily defeated, and the pledge became a part of the constitution. The moderates had successfully distanced themselves from the radicals. Burton was now put in a really difficult position. He was a very honest and principled political actor, and I can't help thinking that his version of uncompromising integrity doesn't fit very well with parliamentary politics. The parts of the Platform he could not swallow were to do with education: compulsory teaching of Esperanto in schools and secular education. There was also an ambiguity about Labour's position on prohibition of alcohol. For these three reasons Burton refused to sign the pledge, and had to leave the Labour party. The prohibition issue was certainly a big one. It divided the left, and from what I can tell the Labour party's neutral position was strategically sensible. It's also not clear to me how allowing 'wowsers' like Burton to make a conscience vote would have damaged the party or the cause at all. The other two issues appear exceedingly obscure. Education policy is mentioned very briefly in the books about the 1920s Labour party I have read so far, it doesn't seem to be a major issue. Issues like employment, taxes, workers' rights and so on are the major topics in these histories. Education is talked about as an issue with respect to how much money is spent on it, how accessible it is and so on. The Labour government of 1935 would introduce some radical education reforms. But as far as I know, Esperanto was not on the agenda and secular education was a given – according to the Education Act of 1877 New Zealand schools should be "free, compulsory and secular". Pondering these obscure historical questions, I spent an afternoon at the McNab Collection of the Dunedin Public Library doing some research. The truth is I'm very new to doing this kind of research, so I'm still acquiring the skills and know-how. So even though the question of Esperanto in New Zealand education in the 1920s is not really a subject I have any interest or invesment in, I quite enjoyed making this historical journey. I found a book published in 1973 with the splendidly long winded title “A History of the Introduction and Spread of the International, Auxilliary Language – Esperanto – In New Zealand (During the Period 1904 – 1963)”. I also found out that the report of this conference is to be found in the Maoriland Worker of the same year, but searching for the details about Esperanto on the papers past website proved to be fruitless. So I'll have to accept this source at face value for now. Also of interest in this book was the information that the Auckland Esperanto Society had members who were active in the WEA (Workers Educational Association), and regularly published Esperanto related articles in the Labour News. There's also a description of some of the sorts of people who attended a 1926 Esperanto conference: “postal workers, railwaymen, lawyers, Scouts, teachers, doctors, the Esperanto Scientific Association, vegetarians, anti-smokers, adherents to the various religions, etcii”. “Esperantists have traditionally shown a distrust for political action and have tended to concentrate their efforts on recruitment of individuals. However, socialist ideology has been highly compatible with the democratising spirit of Esperanto, and organisations have consequently been formed with the aim of establishing a formal connection between the two ideals. Various areas of compatibility between them have been perceived. 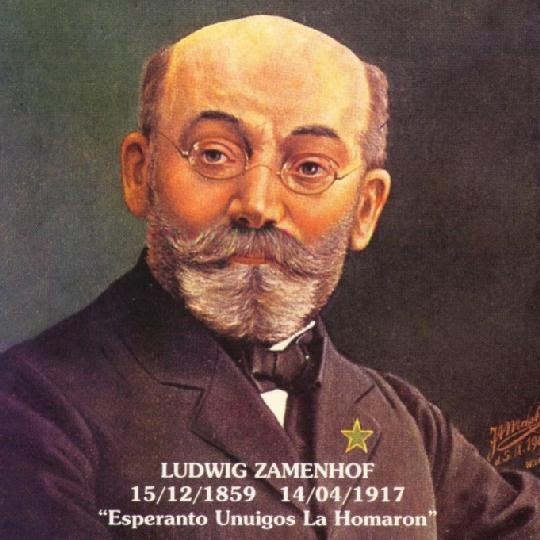 Internationalist ideas of the unity of workers of the world have been seen as effectively fostered through Esperanto. Socialism has been associated with the idea of scientific planning of society, and Esperanto has been supported as being compatible with such a scientific spirit. Esperanto has been seen as subversive of national loyalties which themselves support capitalism and militarism. Finally, the practical advantages of Esperanto in worker's education, in the proceedings of international workers' conferences, and generally in the fostering of direct contacts between workers, have also played an important roleiii”. So why did Burton object to Esperanto? My guess is it has something to do with the 'scientific spirit' alluded to above. Burton's version of socialism definitely included the use of Marxist-inspired language (as I will show below), but his commitment to socialism was based on Christian ethical principles rather than any kind of 'science'. After his departure from the Labour party, this enmity towards 'rationalism' as a basis for politics would only deepen, but I suspect that this is what is going on here. The question of secular education and the push for 'Bibles in schools' is another story that needs to be approached with due respect to historical differences of context. There was a big push for a 'bibles in schools' programme in 1914 spearheaded by the conservative Reform minister James Allen. It was vehemently resisted not so much on secular grounds but more on sectarian grounds : divisions between Roman Catholics and protestants, evangelicals and episcopals were a major problem. Catholics in particular were strongly opposed to what would surely be a protestant version of bible study. As a Methodist, Burton was a keen supporter of a broad alliance of evangelical christians (including Scottish Presbyterians, Baptists, Brethren, Congregationalists, the Church of Christ and the Salvation Army) who pushed for the bible in schools programme. These religious lines of division don't match up straightforwardly with lines of class or political affiliation. Catholics tended to be more working class, but so were many Methodists and other non conformists. Presbyterians tended to be more conservative, but this same evangelical coalition also pushed for women's right to vote. So Burton's differences with his more rationalistic socialist peers were a fairly typical sort of contradiction within the broader left movement. All the means of production, distribution and exchange were to be owned and controlled by the people. The whole should be administered by a Parliament half of the members of which would be elected as present, from the various electorates, and half would be the representatives directly appointed by special economic, professional or cultural groups. The actual control of industries and such matters as Health and Education would be in the hands of National Boards whose members would be appointed partly by parliament and partly by those actually working in the occupation. All non-productive, parasitical and dangerous industries, made possible because of the profit motive in capitalism, would be abolished. Productive industries would be reorganised under community control. The whole product of industry was to be deemed the property of the nation for equal distribution. Housing, food and clothing should be supplied according to family requirements and without reference to the skill, organising capacity or importance of the folk concerned. When the basic necessities were assured the surplus productive capacity of the people would be directed to the production of luxury goods. These should be valued on the basis of the unit of labour and in as far as possible shared – often as community facilities. All adults should have the right to work. The tools of labour including land, mines and factories, would be the property of the community. Workers would have the use of the tools as long as they were working but would not have the right to sell them for profit to other workers. Education should be free and should be carried as far as the individual was able and willing to go. A socialist community could only function on a basis of passionate idealism and widespread and unselfish desire on the part of the great mass of the people to render such willing service. Such feelings would need to penetrate deeply the very roots of the educational process. This could only come from religious conviction and as there was no common agreement here a rigid unified national system was impossible. Any section of the community therefore that had belief of sufficient vitality to staff schools should be allowed to do so. This would break up the standardised national system but would give freedom and life. As far as Health was concerned there should be free and equal treatment for all. The Medical Profession should be completely reorganised as a community service, with very great stress placed on preventative medicine and on physical training to produce stronger and healthier people. With regard to the anti-social there should be two lines of action. Those who were lazy and shiftless should be deprived of all luxury quotas. Their laziness should be their luxury. The actively and dangerously anti-social thieves, violent persons, sexual delinquents, alcoholics, etc – were to come under the control of a Social Welfare Department staffed by Churches and such other groups as were positively concerned with the redemption of the anti-social. The present depressive machinery of criminal courts, penal laws and prisons would be abolished. Instead every endeavour would be made to get to the very roots of crime – underprivileged conditions, broken homes, unwanted children. Proper preventive action and right social education would dry up morasses of crime. With regard to adults every positive means should be taken to win them to better life remembering that punishment never succeeds in making better men but that wise and patient friendship often does. Finally when very possible thing has been done, and failed, we must as a community be prepared to suffer thieves and alcoholics with the same patience that we display towards adulterers and exploiters – much more dangerous types. In extreme cases it would be necessary to picket the violent with volunteers. As far as enemy countries were concerned we would have to exhibit unfailing goodwill. The one effective security measure is to change the enemy into a friend. We should extend goodwill and friendly co-operation, directly and also through such international bodies as the League of Nationsv.